Eric secures office space and markets his new Murphy Group business in the fourth season’s eighth episode. 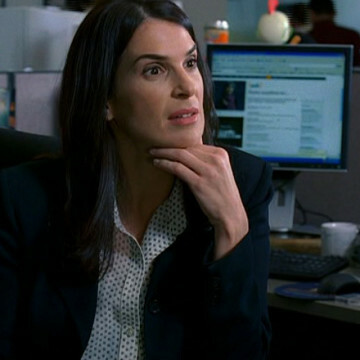 When he attempts to place an ad in the Daily Variety using Vince’s name, Shauna calls to ream him out and to recommend that he visit with Jackie Stone at the paper so that she can help him advertise his company the right way. Jackie, who is played by Stephanie Venditto, meets with Eric near the episode’s nineteen-minute mark to discuss Eric’s business and to learn more about his relationship with actor Vincent Chase.